What has happened to Oklahoma? Fracking everywhere but opposition to wind power? Resistance to paying teachers a living wage? 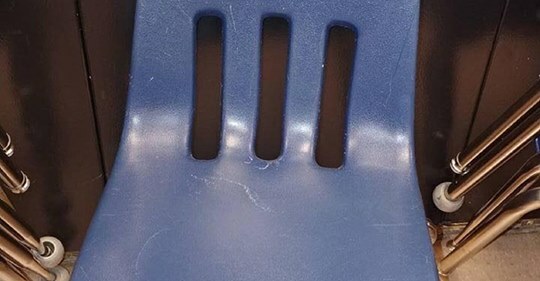 Well, plastic chairs are easy to break, but should students have to carry an intact chair with them when they sharpen a pencil?